We are known for our scented English garden roses which we’ve been growing on our sustainable Hampshire farm for more than twenty years. 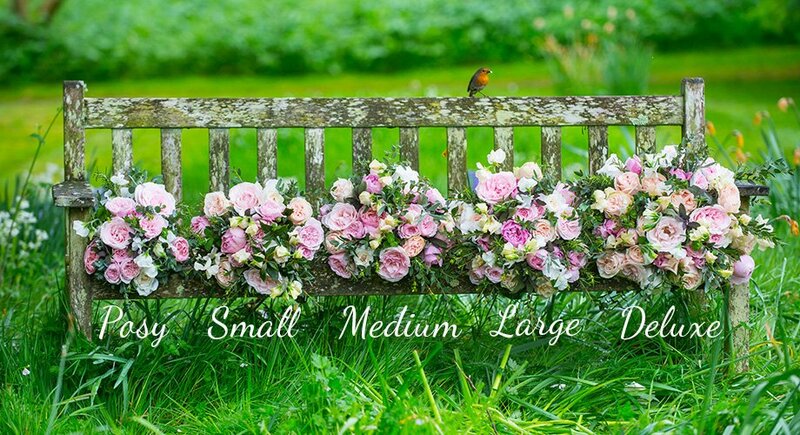 We grow our English roses naturally, which means they flower from May until around September. Our founder Rosebie was therefore faced with a dilemma – how could she grow roses outside the English season without compromising on her ethics? In the mid 1990s Tim and Maggie Hobbs, a couple with Kenyan roots, came across a beautiful derelict farm in the foothills of Mount Kenya, only miles from the Equator. It offered the perfect conditions to grow roses all year round – completely naturally. Rosebie helped Tim and Maggie to set up their rose farm, Tambuzi. Not only can Tambuzi grow roses completely naturally but it is also certified as Fairtrade and operates to the highest possible welfare and social standards. If you’ve received a bouquet of our sustainable roses grown in Tambuzi this Valentine’s Day you can feel confident that you’ve made a sustainable choice with a lower carbon footprint and environmental impact than the Dutch imports that account for most Valentine’s Day roses sold in the UK. Here are our tips for keeping your scented Fairtrade roses looking their best this Valentine’s Day. Your roses will arrive in water (as they are a natural product they can’t be shipped flat and dry). When they first arrive, grab some secateurs or sharp scissors and trim the stems at a 90-degree angle before placing them in water as quickly as you can. Choose a ceramic or metal vase or container rather than glass to help your flowers last longer. Use the flower food provided and remove any leaves that fall below the water line. Replace the water and re-trim the stems every couple of days. You can use a teaspoon of sugar, two to three drops of bleach and a dessertspoonful of vinegar if you don’t have more cut flower food. Choose a cool place, out of direct sunlight, away from radiators and the fruit bowl to help prolong the life of your roses. Don’t spray the roses with water. We send our roses in bud, both to protect the flowers and so you can enjoy watching them unfurl and change shape and form each day as you experience the full life of the flower. 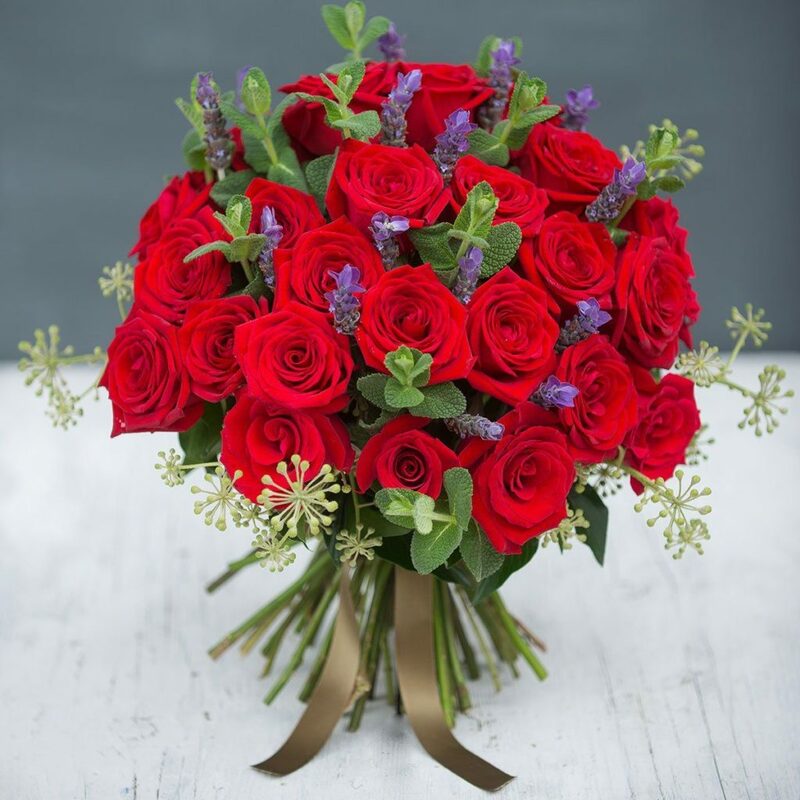 Our expert florists will already have removed the guard petals when they hand-tie your bouquet. They carefully arrange seasonal foliage around the roses to complement their shape and form and protect the flowers. After a few days, if some of the stems are no longer looking their best, gently remove them from the bouquet. After three trims or when the stems are a bit shorter, it can look really pretty to split your bouquet into a few smaller arrangements – just don’t forget to remove any leaves that sit below the water line. If you’ve been lucky enough to receive one of our luxurious green hatboxes, all you need to do is use a jug to top up the water every couple of days or when the oasis starts to feel dry. Just pour a small amount of water between the leaves, making sure you don’t get the scented roses or other flowers wet. You can discover more about our Fairtrade sister farm Tambuzi here.